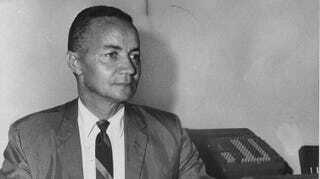 Lewis A. Jackson, then the vice president for academic affairs at Central State University, seen here in a 1965 photo. Photo: Journal Herald archives. Congrats on your COTD win, AuntBeetsyredux! What a lovely story and an interesting person!